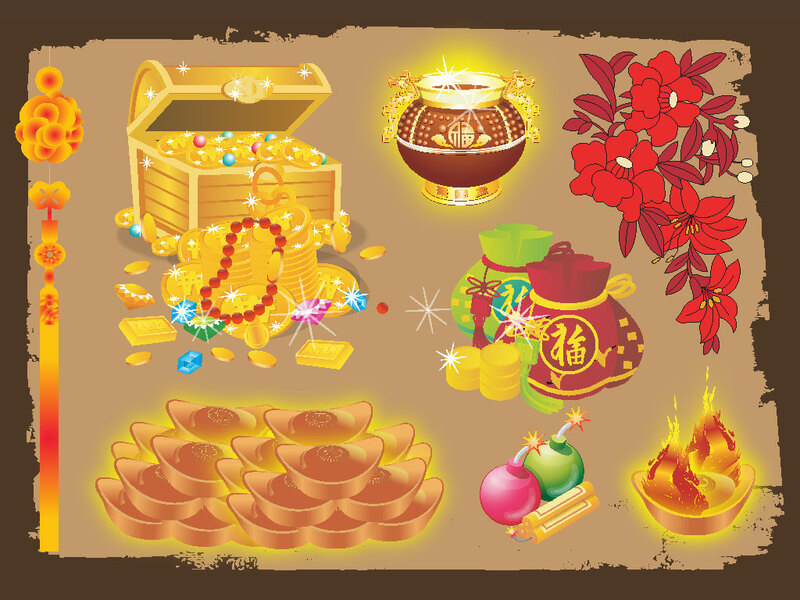 This clip art pack has nice cartoon images of treasure and riches. Features; Chinese moneybags, gold pot, pirate’s treasure chest full of gold coins, jewelry and diamonds, colorful explosives and grenades, fire and Asian flowers. Tags: Clip Art, Fireworks, Flowers, Gems, Gold, Jewelry, Treasure.